10-year-old Maddy Safford with her mother, Mer. Photo by Sarah Brooks. The 2010 Light of the Path retreat was attended by a very special young girl, Maddy Stafford, who, at the age of 10, requested to become a nun and geshema. 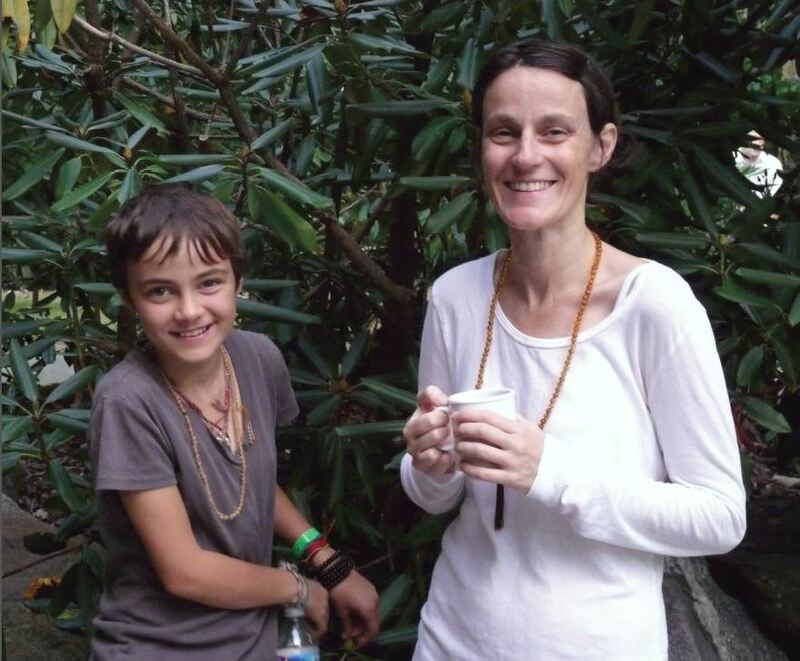 Merry Colony spoke with Maddy and her mother, Mer Stafford, about Maddy’s strong connection to Lama Zopa Rinpoche and the Dharma, and her future plans. Merry Colony: You are a bit of a phenomena here at the retreat, Maddy. Tell me about yourself, how and when you met the Dharma. Maddy: I met the Dharma three years ago when I was seven. I went to see the Ganden Jangtse monks who were making a Chenrezig sand mandala in New Hampshire in a tiny museum. One of the monks (Lobsang Damchö) saw that I was really interested and invited me into the room where they were working. He gave me the implements that the sand comes out of and showed me how to do it. This meeting really made me think and it changed my mind. After that, I decided to become a vegetarian because I didn’t want to kill animals. My Mom and Papa were already vegetarian. Merry: Where do you live and do you go to a center already? Maddy: I live in Freeport, Maine on a farm with 30 bats, three cats and chickens. I went to my first teaching at Kurukulla Center with Ani Yeshe. It was an introduction to Buddhism class. It made a lot of sense to me. I then started going to weekly classes there. I go to Geshe Tsulga’s lam-rim teachings on Sunday and Geshe Tenley’s classes on Wednesdays. Merry: When did you meet Lama Zopa Rinpoche?